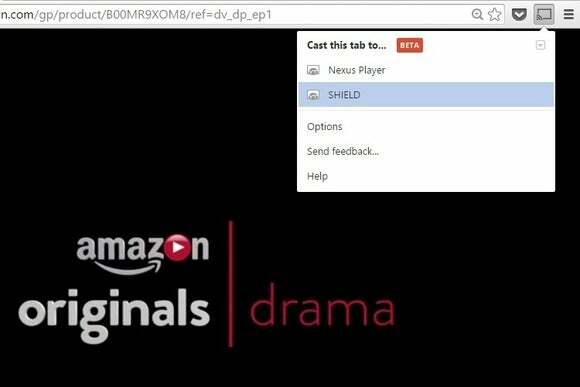 How to watch Amazon Prime video on Chromecast and Android TV, and why these workarounds are even necessary. Although Amazon Prime is one of the most popular streaming video services, today you can’t easily access it on one of the most popular streaming video devices. That’s because Amazon doesn’t support Google’s $35 Chromecast dongle, which has sold more than 17 million units, trailing only Roku in U.S. sales and usage. Amazon also lacks an app for Android TV set-top boxes such as the Nexus Player, Nvidia Shield Android TV, and Razer Forge TV. Neither Amazon nor Google will talk about the issue—and they didn’t answer my requests for comment—but evidence suggests a classic case of two rival companies who can’t get along, and are punishing users caught in the middle. To understand why you can’t watch Amazon Prime videos on Chromecast or Android TV, it might help to understand the friction between Amazon and Google. Much of it has to do with Google’s Android operating system, which serves as the basis for Amazon’s Fire tablets, Fire phone, and Fire TV devices. Android is technically open-source, so hardware makers can freely modify the software to suit their needs. But if they want to include Google services such as Gmail, Google Maps, and the Google Play Store, they must adhere to a set of guidelines. These measures ensure that Google services remain front and center on most Android devices, such as Samsung phones and LG tablets. Amazon decided not to go that route with its Fire devices, creating a “fork” of Android that highlights Amazon’s own apps and services. Google, in turn, has not released any of its own apps on Amazon hardware. Meanwhile, Amazon has responded to Google with similar hostility. Because Android allows users to install any software they want—even from outside the Google Play Store—Amazon encourages those users to install its own app store instead. Last year, Amazon even tried to hide a version of this store within its main shopping app, letting users install Amazon Video and other apps from outside the Google Play Store. Google wasn’t happy about this tactic, and essentially forced Amazon to re-release its Google Play Store app, removing the Amazon Video functionality altogether. On some level, you can’t blame Amazon for trying to profit from its own storefront and version of Android, or Google for trying to keep Amazon from gaining too much power. But for users, the whole situation is a mess. 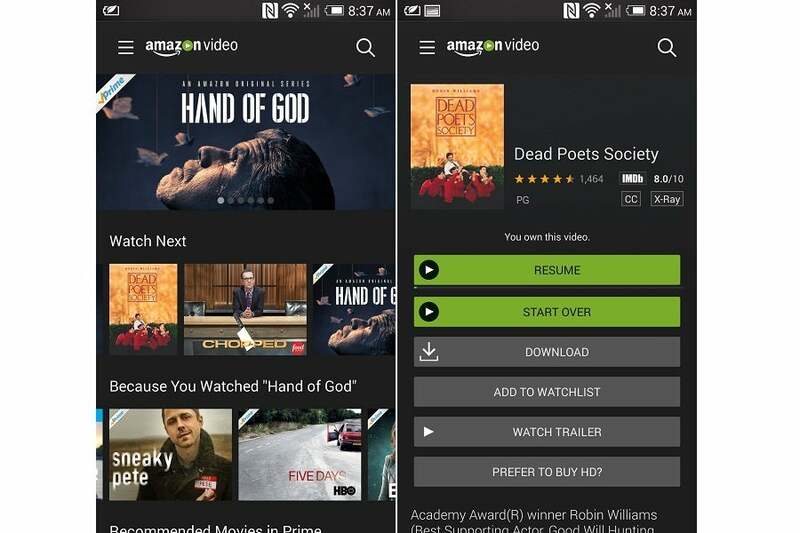 All of this backstory brings us to last week, when Amazon released a redesigned Amazon Video app for Android. This new app, which allows offline video playback on Android phones and tablets, is not available through the Google Play Store. Instead, users must sideload the Amazon Appstore for Android and install the Video app through Amazon’s own storefront. Amazon Instant Video for Android isn’t available from the Google Play Store. For phone and tablet users, this isn’t such a bad thing. Outside of Google Play, Amazon can offer not just Prime videos, but on-demand videos for purchase or rent without owing anything to Google. But at the same time, it’s unlikely this app will ever see Chromecast support, which on Android requires the use of Google Play Services. 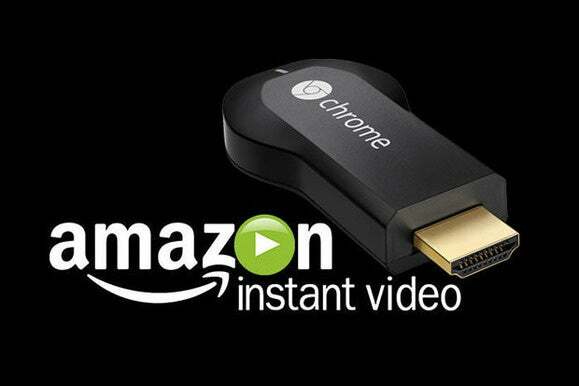 It’s not as if Amazon dislikes the concept of Chromecast, which lets users easily send videos from a phone or tablet to the big screen. Currently, Amazon is working on its own Chromecast-like functionality for the Fire TV and Fire TV Stick, dubbed Fling, and is even promising an easy way to port existing Cast-enabled apps. The message to Chromecast users is clear: Just buy a Fire TV device instead. In the meantime, attempts at unofficial Chromecast support are being shut down. Amazon’s lack of support for Android TV set-top boxes is arguably even more frustrating, given that a working app already exists. 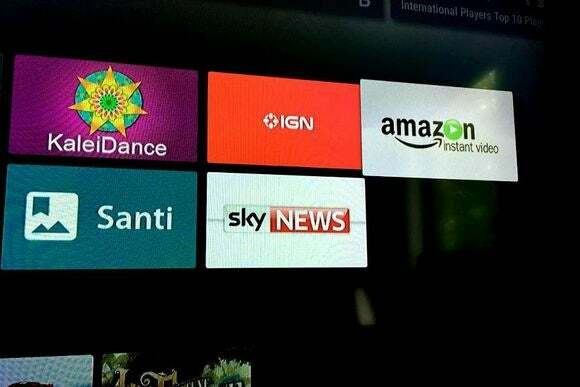 Last spring, Sony released a smart TV with Google’s platform built in, and this television included an app for Amazon Instant Video. It wasn’t long before users figured out how to extract the installation file and distribute it to users of other Android TV devices . Within a few days, however, Amazon wised up and disabled the app on all non-Sony Android TV devices. Attempting to use the app only brings up an error message, saying the user lacks the proper licensing. Amazon Instant Video for Android TV is for Sony televisions only. So far, I haven’t found any explanation for why Amazon won’t release the app for everyone. Perhaps there’s some contractual agreement with Sony that prevents a wider release, or some anti-piracy measure that other Android TV devices haven’t implemented. But given the history between Amazon and Google, it’s possible this is just another case of business getting in the way of users’ best interests. Unfortunately for Amazon Prime subscribers, the options are limited and far from ideal. For Chromecast, it is possible to play a video from Amazon.com in Google’s Chrome browser, then use the Cast extension to mirror the computer’s display. 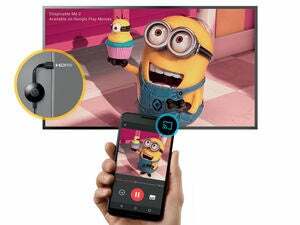 You can also mirror the display on certain Android phones while playing video from Amazon’s Android app. Both of these workarounds will drain battery life, however, so you’ll want to keep your devices plugged in while watching video. Tab mirroring in Chrome can also be unreliable in my experience. Mirroring the display from Chrome or Android is as good as it gets. The big downside here is that the app isn’t remote control-friendly, so you need a USB mouse or other pointing device to use it. I also wasn’t able to play any videos on an Nvidia Shield Android TV, though some users have reported success in the past. Hopefully, these workarounds won’t be necessary forever, but without any Google-Amazon truce in sight, I wouldn’t count on watching Amazon video on Google’s platforms anytime soon.